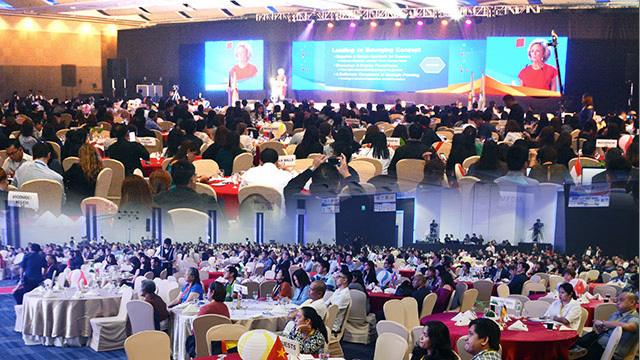 Filipino business owners and professionals are lucky that one of the world’s largest franchise conferences and expos happens yearly in the Philippines. Franchise Asia is one month away and this year’s edition boasts a world-class International Franchise Conference on July 18 and 19 and an International Franchise Expo on July 20 to 22. Franchise Asia’s theme this year is “Be The Boss” and promises to offer opportunities to learn from the best in the business and also find new opportunities and partners. Get insights into one of the hottest topics in boardrooms and marketing departments across the world. Hear Anton Diaz of Our Awesome Planet and Gino Borromeo of McCann World Group share the strengths of tapping social media influencers to grow your brand, and debate with the ‘Celebrity Endorser’ panel led by Pinky Yee of Goldilocks and Merlee Cruz Jayme of Dentsu Jayme Syfu. Be inspired by Francis Kong’s latest talk, insights and stories about what it takes to both be a strong leader and entrepreneur. Local and international experts share best practices on digitally transforming your business. Speakers like Dr. Donald Patrick Lim of Dentsu Aegis Network Phils., Paolo Lacuna of Oath Singapore, Arlene Padua of the Philippine Marketing Association and Joval Gan of Advocado Singapore will discuss digital transformations in marketing while Zwee Wee of Savant Degrees International and Philips Yu of 7-Eleven will talk about how to transform your backend operations. With family business dynamics being a crucial component in franchising and business in general, experts and practitioners in the field will share their experiences and insights on this highly relevant topic. Speakers include Johnlu Koa of The French Baker, family business adviser Prof. Enrique Soriano III, Bobby Claudio of Toby’s Sports and Pilar Tolentino of the Ateneo Family Business Development Center. Panelists include Bill Edwards of Edwards Global Services US, Bernie Liu of Golden ABC (makers of Penshoppe), Ybhg Datuk Radzali Hassan of the Malaysia Franchise Association, Chris Grandpre of Outdoor Living Brands US, Kathryn Manalo of Potato Corner and Benjamin Litalien of Franchise Wells US. Learn best practices in organizational development with award-winning global executive coach Bjorn Martinoff, Linda Castro of Jollibee Worldwide Services, Pocholo Domondon of PwC Philippines and Audrey Santos of the Figaro Group. With over 1,000 top business leaders and managers in the industry, this unique format allows participants to network and discuss specific issues with both an expert moderator and fellow conference delegates to get practical tips based from experienced individuals. Franchise Asia Conference 2018 will have 50 speakers, dozens of simultaneous sessions and is expected to attract over 1,000 local and international delegates, helping turn it into a major business forum for owners and managers to learn and sharpen their skills.